Turkmenistan remains one of the most repressive and authoritarian countries in the world. Unknown numbers of people languish in Turkmen prisons following unfair trials on what appeared to be politically motivated charges. A Turkmen political prisoner, Mukhametkuli Aymuradov, was freed on May 2, 2009 after serving 14 years in prison on trumped-up charges, Human Rights Watch said today. Human Rights Watch has sent a letter urging José Manuel Barroso, the European Commission president, to press for more releases of political prisoners and other human rights reforms at a meeting on May 8 with a Turkmenistan delegation. Turkmenistan remains one of the most repressive and authoritarian countries in the world two-and-a-half years after the death of Saparmurad Niazov, who had himself declared president for life. Unknown numbers of people languish in Turkmen prisons following unfair trials on what appeared to be politically motivated charges. Draconian restrictions on freedom of expression, association, movement, and religion remain in place. Aymuradov was Turkmenistan's longest-serving known political prisoner. He is in poor health, suffering from kidney failure and other ailments. He was arrested in Uzbekistan in 1994 without a warrant and illegally transferred to Turkmenistan. He was charged with anti-state crimes, accused of trying to overthrow the government. During the investigation Turkmen authorities severely mistreated Aymuradov and prevented him from contacting his lawyer or from examining evidence or questioning witnesses against him. In 1995, Aymuradov was sentenced to 15 years in prison. In 1998, after being accused of an escape attempt, he was sentenced to an additional 18 years in prison, not including time served. In 2001, Aymuradov's remaining time in prison was halved under a general pardon issued by Niazov. In its letter to Barroso on May 5, Human Rights Watch urged him to press the Turkmen delegation at this week's energy summit in Prague for the release of other political prisoners and additional human rights reforms. «When President Barroso meets the Turkmen delegation, he should tell them that now is the time to break with the past,» said Lisitsyna. Human Rights Watch urged Barroso to press Turkmenistan to conduct a nationwide review of all cases of political imprisonment over the past years and to allow activists and civic groups to operate freely and without fear of persecution. - Annakurban Amanklychev and Sapardurdy Khajiev, who are affiliated with a Turkmen human rights group in exile and were sentenced in a closed trial in 2006 to seven years in prison on trumped-up charges of possession of ammunition. Niazov publicly accused them of «subversive activities» and «gathering slanderous information to spread public discontent.» Security services also cited Amanklychev's participation in human rights training in Poland and Ukraine and his work with British and French journalists who visited Turkmenistan and reported on the human rights situation. The relatives and lawyers of the two men were not informed about their trial, and both were held incommunicado for about two years. - Gulgeldy Annaniazov, a former political prisoner who lived from 2002 until 2008 in exile in Norway, where he holds refugee status, and who returned to Ashgabad last June. The day after his return, he was arrested at his home without a warrant and charged with illegal border crossing. He was sentenced on October 7, 2008 to 11 years in prison. His family was not informed about his trial and does not have information on the exact charges against him. 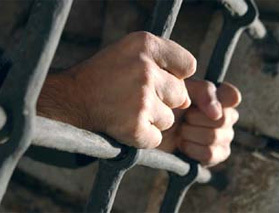 Human Rights Watch also urged the Turkmen government to disclose the fate and whereabouts of about 50 prisoners accused in an alleged 2002 plot against Niazov - including a former foreign minister, Boris Shikhmuradov, his brother Konstantin Shikhmuradov and a former ambassador to the Organization for Security and Cooperation in Europe, Batyr Berdiev. These prisoners were taken into custody in November 2002 and have not been heard from since. «It's especially important for Barroso to engage on human rights now, in light of the commission's recent commitments to monitor human rights in Turkmenistan,» said Lisitsyna.